There are usually several activities that people want to experience, while traveling to Iceland: bathing in geothermal water, hiking in areas with unique nature and stunning landscapes, northern lights, exploring volcanoes and caves and watching rare animals and birds that you can find only in Iceland. The area around Myvatn Lake gives you chance to try it all! First of all, this beautiful place in the north part of the country will charm you with its breathtaking views. The lake was created 2300 years ago by the lava eruption, that’s why the landscape here has volcanic features, such as lava pillars and rootless vents. So be prepared to take hundreds of photos here, as the area is extraordinary even by Icelandic standards. The area is famous for large number of birds, birdwatching should definitely be in your “must do” list, as you will have a chance to see unique Icelandic birds and discover their habits. Another popular tourist attraction is sulphur hot springs in Hverir. These boiling hot bubbling mud pools create off the planet atmosphere and will impress even the experienced tourists! Of course, if you are in Iceland, you can’t avoid having a chance to bathe in outdoor pools. 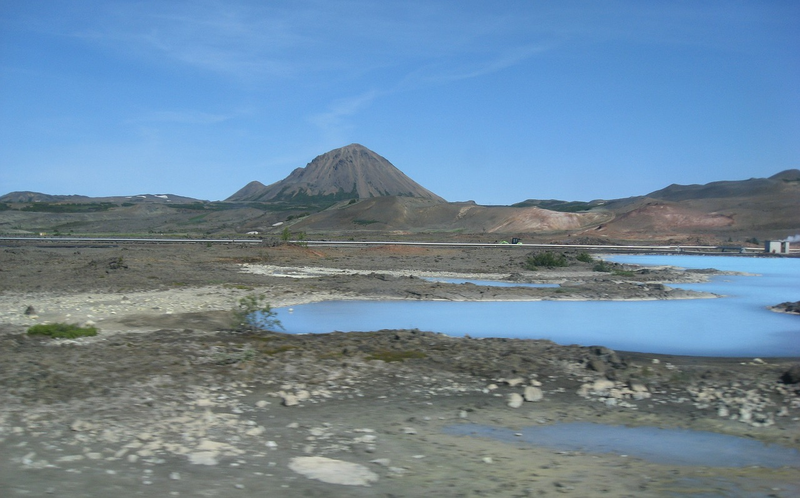 Near the lake you will find Northern answer to famous Blue Lagoon - Myvatn Nature Baths. Apart from spectacular views, that you can enjoy, while soaking in the geothermal water, there is one huge advantage that Myvatn baths have in contrast with its more famous brother - if Blue Lagoon is usually packed with tourists, bathing in Myvatn pools can be more relaxing and quiet. Another place worth visiting is Lofthwllir cave. It was created 3500 years ago and will strike you with its ice structures and fascinating atmosphere. It is only possible to get here on a guided tour, but you will certainly regret not exploring this ancient and beautiful cave! And last but not the least, you should try traditional “Hverabrauð” with smoke trout. It is a local dark bread, that is baked underground, using geothermal heat. You can find it in most cafes and restaurants in the area. Yummy!